The most versatile and uniform screen surface for front projection when ambient light is controllable. It enables unlimited viewing angles and perfect uniformity while giving precise definition and reproduction of color or black and white. 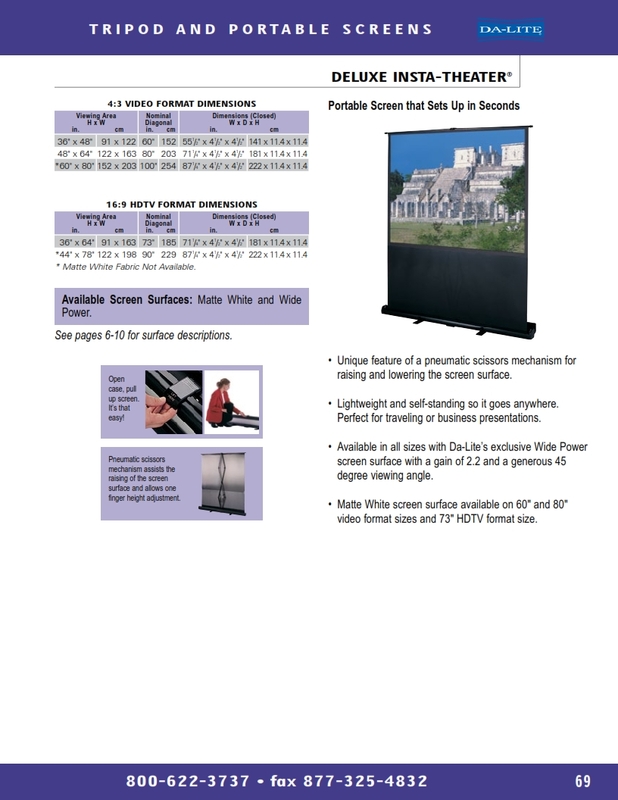 Screen surface is washable with mild soap and water, flame retardant and mildew resistant. Viewing Angle: 60° Gain: 1.0.